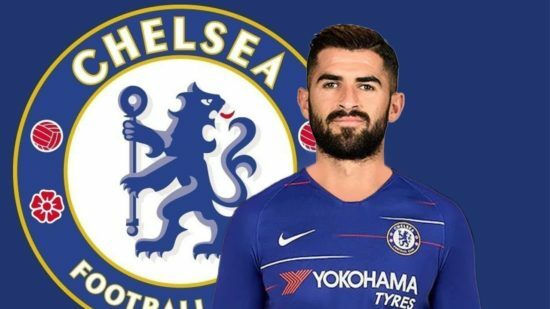 Chelsea are reportedly contemplating a move for Napoli defender Elseid Hysaj according to several reports Goal says that the player is valued at around £45 million which is his buyout clause. Hysaj has fallen down the pecking order since the arrival of Carlo Ancelotti in the summer, who prefer Nikola Maksimovic and Kevin Malcuit in the right-back position. Notwithstanding, Hysaj remains highly rated across Europe. Capable of making marauding runs and Brilliant tackles, the 24-year-old has developed his game at Napoli. The Albania international is keen to reunite with Maurizio Sarri at Stamford Bridge as he seeks more playing time. Chelsea currently have a single settled right-sided defender in the shape of Caesar Azpilicueta. The Spanish international is a fan favourite and it would be a good fight for the position if Hysaj moves to the club. Chelsea have had a big transfer window already with the arrivals of Christian Pulisic and Gonzalo Higuain from Borussia Dortmund and Juventus respectively. Cesc Fabregas is a major departure in what could be a transfer clearout of fringe players. Victor Moses, Danny Drinkwater, Gary Cahill and Alvaro Morata are expected to leave the club before the deadline day.